ICs include microprocessors that run the LonWorks® protocol; external Communication Transformer and Router modules. 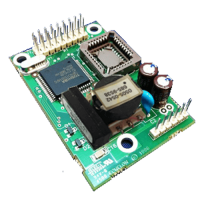 The PL 3120 Power Line Smart Transceiver integrates a Neuron® processor core with a power line transceiver. On-chip memory only (for off-chip memory capability refer to PL3150). 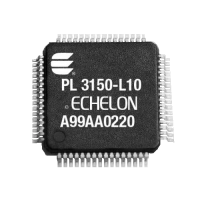 The PL 3150 Power Line Smart Transceiver integrates a Neuron® processor core with a power line transceiver. It allows applications to address up to 58KB of external memory. 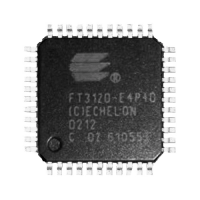 The FT 3120-E4P40 Smart Transceiver integrates a high-performance Neuron® Core with a free topology twisted-pair transceiver in a 44-TQFP housing. It only requires a transformer like the FT-X1, FT-X2 or FT-X3 . 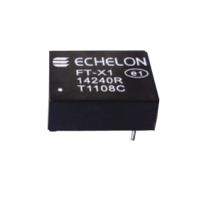 The FT 3120-E4S40 Smart Transceiver integrates a high-performance Neuron® Core with a free topology twisted-pair transceiver in a 32-SOIC housing. It only requires a transformer like the FT-X1, FT-X2 or FT-X3 . 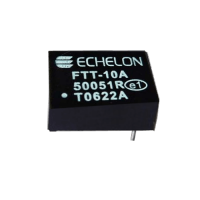 The FT 3150-P20 Smart Transceiver integrates a high-performance Neuron® Core with a free topology twisted-pair transceiver in a 64-TQFP housing. It only requires a transformer like the FT-X1, FT-X2 or FT-X3. 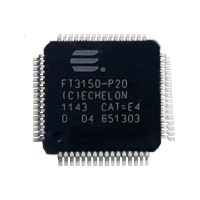 The FT 3150-P20 Smart Transceiver integrates a high-performance Neuron® Core with a free topology twisted-pair transceiver in a 64-TQFP housing. It only requires a transformer like the FT-X1, FT-X2 or FT-X3. Packaging: Tape&Reel. 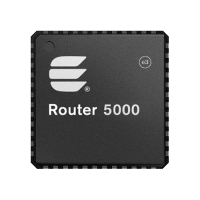 The FT 5000 Smart Transceiver integrates a high-performance Neuron® Core with a free topology twisted-pair transceiver. It only requires a transformer like the FT-X1, FT-X2 or FT-X3 . 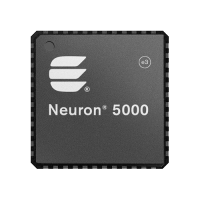 The Neuron 5000 Processor incorporates communication and control functions on a single chip to facilitate the design of a LonWorks® device. Its flexible 5-pin communications port can be configured to interface with a wide variety of media transceivers like TP/XF-1250, EIA-485 and can be used with the LonWorks LPT-11 Link Power Transceiver. It also supports a variety of other channels like RF, IR, fiber-optics, and coaxial. The FT Router 5000 IC is based on the FT 5000 Smart Transceiver and can be used to build a FT-10 channel halfrouter with LONWORKS® communication channel to route LonTalk® messages. In combination with another FT Router 5000 or a Router 5000 high performance router can be build. It only requires a transformer like the FT-X1, FT-X2 or FT-X3 . The FT 6010 IzoT compatible Smart Transceiver integrates a high-performance Neuron® Core with a free topology twisted-pair transceiver. For FT-10 it only requires a transformer like the FT-X1, FT-X2 or FT-X3. 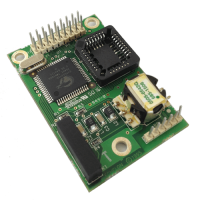 Can be used in combination with an external RS-485 interface. Supports 3 operating modes: LonTalk/IP over FT, BACnet/IP over FT and Any IP over FT. The FT 6050 IzoT compatible Smart Transceiver integrates a high-performance Neuron® Core with a free topology twisted-pair transceiver. 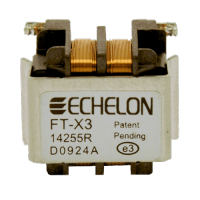 For FT-10 only a transformer like the FT-X1, FT-X2 or FT-X3 is required. 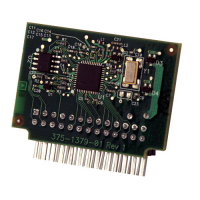 Can be used in combination with an external RS-485 interface. Supports all 4 operating modes: LonTalk over FT, LonTalk/IP over FT, BACnet/IP over FT and Any IP over FT. 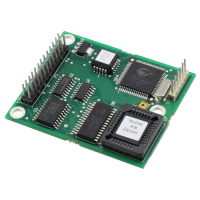 The Neuron 6050 IzoT compatible Processor incorporates communication and control functions on a single chip to facilitate the design of a LonWorks® device. Its flexible 5-pin communications port can be configured to interface with a wide variety of media transceivers like TP/XF-1250 and EIA-485 channels, and can be used with the LonWorks LPT-11 Link Power Transceiver. It also supports a variety of other channels like RF, IR, fiber-optics, and coaxial. External Communication Transformer in a surface-mount package which provides immunity from magnetic interference and high frequency common mode common mode noise. Must be used with FT 5000 or FT 6050 Smart Transceiver ICs to ensure reliable communication. Not pin-compatible with the FT-X2. External Communication Transformer in a surface-mount package which provides immunity from magnetic interference and high frequency common mode common mode noise. Must be used with FT 5000 or FT 6050 Smart Transceiver ICs to ensure reliable communication. External through-hole Communication Transformer which provides immunity from magnetic interference and high frequency common mode common mode noise. 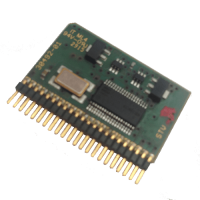 Must be used with FT 5000 or FT 6050 Smart Transceiver ICs to ensure reliable communication. 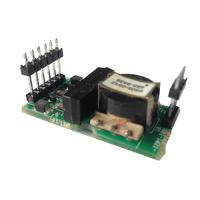 External through-hole LonWorks® transformer-isolated, free topology communication transceiver. Must be used with 3120 and 3150 Neuron chips to ensure reliable communication. The Model 51001 Magnetic Shield is a two-piece shield that minimizes the effects of magnetic field noise on the FTT-10A transceiver. External through-hole Communication Transformer to build up reliable isolated coupling circuits for LonWorks PowerLine networks. Suitable for use in A-, B- and C-band. 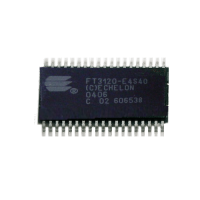 Can be used with PL3120, PL3150 and PL3170 Smart Transceiver ICs to ensure reliable communication. 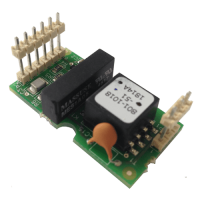 The LPT-11 is a complete LONWORKS® free topology communication transceiver and power supply in a miniature SIP. It receives both network data and power on a single twisted wire pair. Compatible with the FTT-10A Free Topology Transceiver. 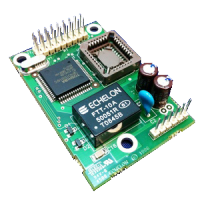 Can be used in combination with the FT 3120®/FT 3150®, Neuron 5000 and Neuron 6050 Smart Transceivers . 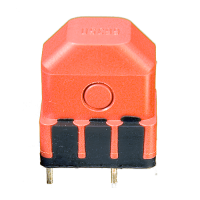 The TP/XF-78 a complete LONWORKS® free topology communication transceiver with a transformer isolation for common mode rejection. It can be used in combination with the Neuron 3120®/Neuron 3150®. 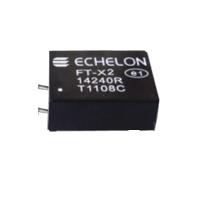 The TP/XF-1250 a complete LONWORKS® free topology communication transceiver with a transformer isolation for common mode rejection. It can be used in combination with the Neuron 3120®/Neuron 3150®, Neuron 5000 and Neuron 6050 Smart Transceivers . 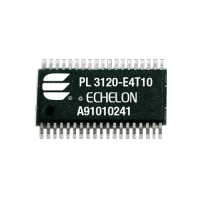 The PL3120 Control Module integrates the PL 3120 Power Line Smart Transceiver (Neuron® processor core with a power line transceiver and On-chip memory) , a crystal, and serial memory. 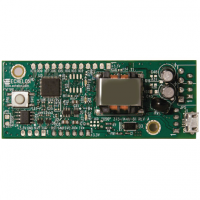 The CPM 5000 (FT 5000 Control Module) integrates the FT 5000 high-performance, low-cost Smart Transceiver with the low-cost FT-X3 Communications Transformer, a crystal, and serial memory. The CM 55030 (TP/XF-1250 Flash Control Module) is a twisted pair control module designed to allow the addition of LonWorks technology to an existing control system. These are designed for use in OEM products and the size of the module allows for fitting in confined spaces. 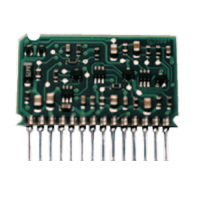 The CM 55020 (FTT-10A Control Module) is a twisted pair control module designed to allow the addition of LonWorks technology to an existing control system. These are designed for use in OEM products and the size of the module allows for fitting in confined spaces. The CM 55010 (TP/XF-78 Flash Control Module) is a twisted pair control module designed to allow the addition of LonWorks technology to an existing control system. 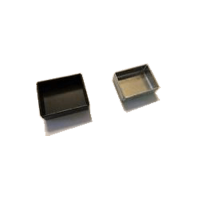 These are designed for use in OEM products and the size of the module allows for fitting in confined spaces. 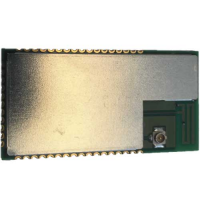 The CM 65100 (LTM-10A Control Module) consists of Neuron 3150 Chip, re-programmable 64Kbyte flash memory, 32Kbyte Ram, 10 MHz crystal oscillator and connectors for power, IOs, host interface, and most standard LonWorks transceivers like TP/XF-78, TP/XF-1250, EIA-485 or LPT-11 Link Power. It's designed for use in OEM products and the size of the module allows for fitting in confined spaces.